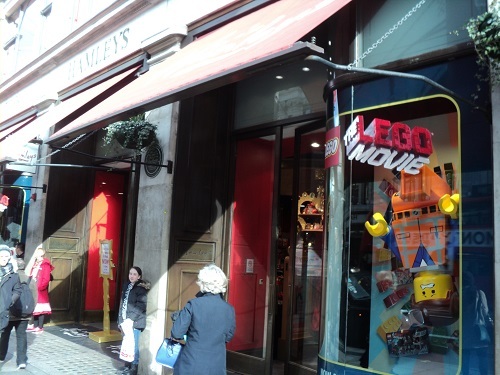 Hamleys is one of the oldest and largest toy shop in the world, it was founded by William Hamley as “Noah’s Ark” in High Holborn, London, in 1760, with a branch opening in Regent Street in 1881. For a long time a family business, the shop almost disappeared for ever in the 1930s but was bought by Walter Lines, the Chairman of the Tri-Ang company who restored its reputation as one of London’s main retail attractions. It is estimated it attracts around five million visitors a year. 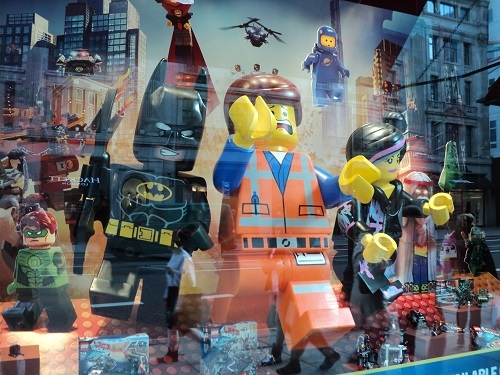 The Regent Street flagship store has a 7 floors with an estimated 50,000 toys. The shop is also known for its inventive window displays and the staff who wander around the shop playing and demonstrating some of the products. 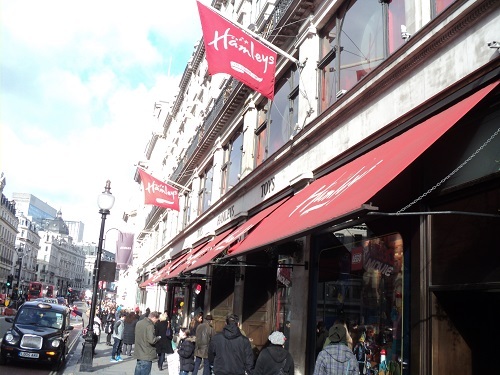 London had a large number of toy shops in the 19th and early 20th century, as well as toys sold in the street, however the advance of online shopping as severely cut the number of toyshops with Hamleys one of the very few old style Toyshops to survive. The ground floor is traditionally for soft toys and decked out with a bewildering array of stuffed animals, from regular teddy bears to enormous life-sized giraffes and elephants. By londonvisitors2014 in Shops of London on May 18, 2014 .